But then there are the other times! when practicing is like swimming through a thick soupy sea of thoughts and impressions. Things come up. Issues, worries, thoughts of all sorts and sizes eek up into the surface of the mind, some incredibly insignificant and others quite significant, each attempting to derail practice. Today was one of those days for me, where the practice wrestles with this comedy of the mind. The breath, still steady and easy regardless, is a laugh track as stuff bubbles up. But even this has its purpose. Yoga, union, is a goal. But yoga is also a process. And today I observed this process of emptying pots, of cleaning house, the house of the mind and the body. This is the process of letting go and of creation, emptying to make space for the new. 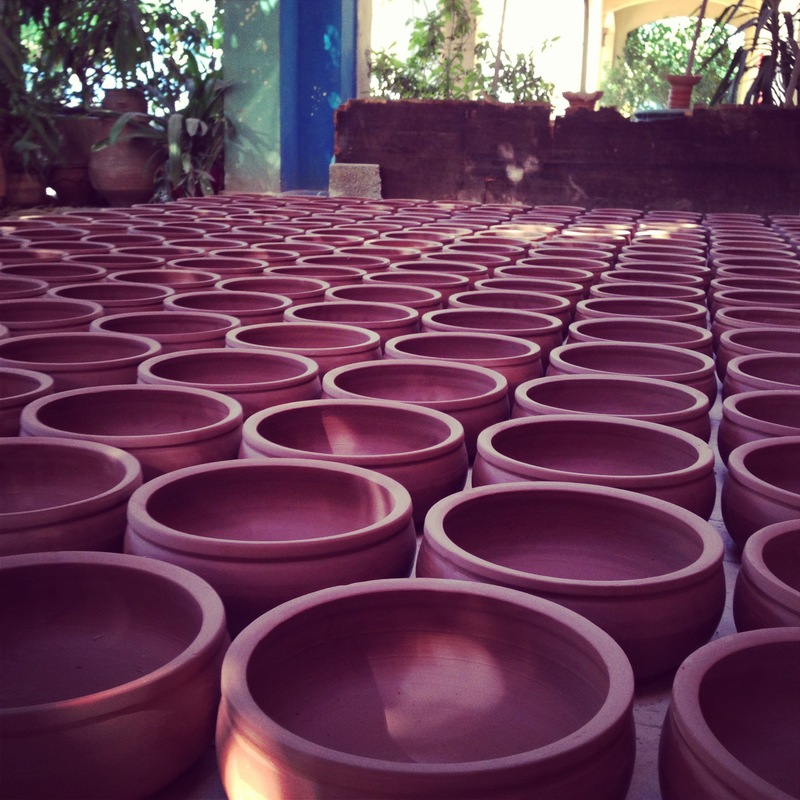 Photo: Pottery at one of the Ateliers at the Darb 1718 compound in Old Cairo. Watch for announcements, will be holding ashtanga and inner dance space there soon! This entry was posted in Musings from the Mat and tagged Ashtanga, Cairo, Egypt, Mind, Practice, Yoga by sisterhoodofthetravelingmala. Bookmark the permalink.